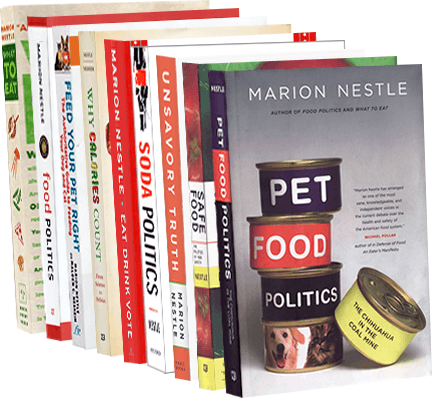 Food Politics by Marion Nestle » The farm bill is still in limbo. Now what? The farm bill is still in limbo. Now what? My NYU Food Policy class meets tonight and we’ll be talking about the farm bill and Dan Imhoff’s most helpful book Food Fight: The Citizens’ Guide to the Next Food and Farm Bill. Congress updates farm bills every five years or so. It passed the last one in 2008, with an expiration date at midnight on September 30, 2012. This was the first time Congress ever set an expiration date to land in the midst of a presidential election. This was asking for trouble. Congress is paralyzed in election years. That date has now come and gone. But in June 2011, the Senate passed its version of the bill: The Agriculture Reform, Food and Jobs Act of 2012. The House, however, was unable to come to agreement on its version: The Federal Agriculture Reform and Risk Management Act of 2012. Why? Election-year politics and disagreements about whether and by how much the SNAP (food stamps) budget should be cut. More than 80% of farm bill spending goes to SNAP benefits—a whopping $72 billion last year–making it a prime target for budget cutting. This situation puts us in farm bill limbo. The significance of limbo is best explained by the National Sustainable Agriculture Coalition (NSAC). Without a new farm bill, commodity (corn, soybean, etc) support programs revert to permanent law contained in the farm bills passed in 1938 and 1949. Why? Because unlike subsequent bills, these did not have expiration dates. The old laws reintroduce much higher support prices (through certain loans instead of payments), require much smaller crop production, and lead to much higher consumer prices. They do not include support for soybeans, other oilseeds, peanuts, or sugar, making them woefully out of date. Limbo has no effect on SNAP or crop insurance. Congress covered SNAP with a resolution for continued funding through March 2013. The Federal Crop Insurance Act effectively authorizes crop insurance permanently. Dairy programs are in turmoil. Milk payments to farmers ended in September. The dairy price support program ends on January 1. Under the 1949 law, government-supported prices would be about four times higher than current law and about twice as high as current market prices. The Agricultural Appropriations Act extended some—but not all—conservation programs through 2014. The permanent law does not support the hard-won programs that encourage fruit and vegetable production: organic, farmers’ market, beginning farmer, socially disadvantaged farmer, or specialty crop programs. These now have no funding. The farm bill is the nation’s major food and agricultural policy vehicle and is about much more than the big ticket items: food stamps, crop insurance, and commodity support. The farm bill is also about conservation and environmental protection, rural economic and community development, food system reform and agricultural research. With no new farm bill or extension, the programs that address rural and urban job creation, natural resource conservation, renewable energy, and improved production and access to healthy food are in big trouble. This is a big mess, and a serious result of dysfunctional government. It will be interesting spectator sport to see how Congress handles it. Will Congress find a way to bring agricultural policy in line with health policy? Or will Congress simply do whatever is most expedient, given the budgetary mess it has also created. It’s too bad so much is at stake. HFCS v. Diabetes: Correlation does not mean causation.